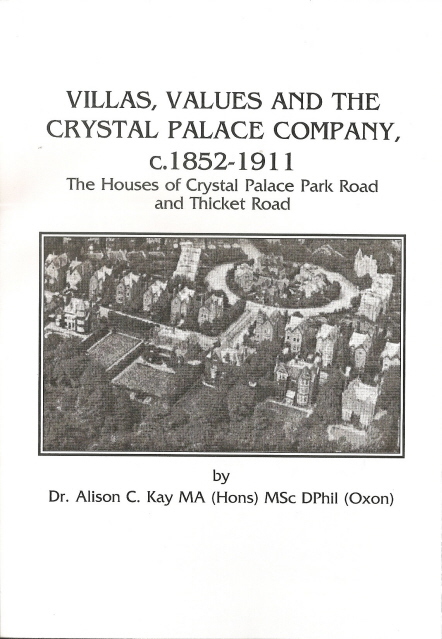 The Houses of Crystal Palace Park Road and Thicket Road. This is the first time that an in depth study has ever been undertaken of these houses. Alison discusses the reasoning behind the construction of the houses and the part that they play in the park to this day. With a full bibliography and 81 further research notes. We are very grateful to Alison and Maney Publishing for allowing us to reproduce this excellent and presently unique piece of historical research. The article was originally published in 2008 in The London Journal 33(1) pp.21-39. See also www.maney.co.uk/journals/ldn and www.ingentaconnect.com/content/maney/ldn.